This is such a wonderful journal because it teaches you step by step how to create beautiful illuminated letters that will enhance your Bible journaling or any type of artwork where you will use lettering. I loved the instructions because they were so easy to follow. I actually took this one to my doctor office appointments to work on while waiting and it was great! I was able to follow each step and learned how to make several gorgeous letters that I will definitely use in my new Illustrating Bible. The paper quality is wonderful! I was able to use my permanent black fine liner in the book and did not see any shadowing on the next page. I used my art makers as well as my watercolor markers in this book and the paper held up really well with all these things. I started out using pencil to learn the letters then went over them with the black fine liner and then used my art and watercolor markers to enhance the letters with color. I love how I was able to make each one my own yet they looks so beautiful because of the great instruction! There are also some blank pages for practice or for actually journaling. I absolutely LOVE this journal and am having so much fun working through the letters then using what I've learned in my artwork. It's especially special for my Bible! 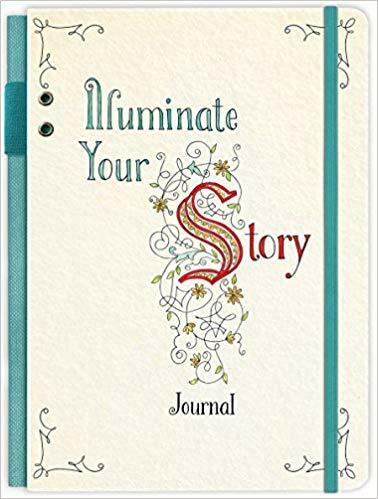 I highly recommend this journal and give it 5 out of 5 stars. 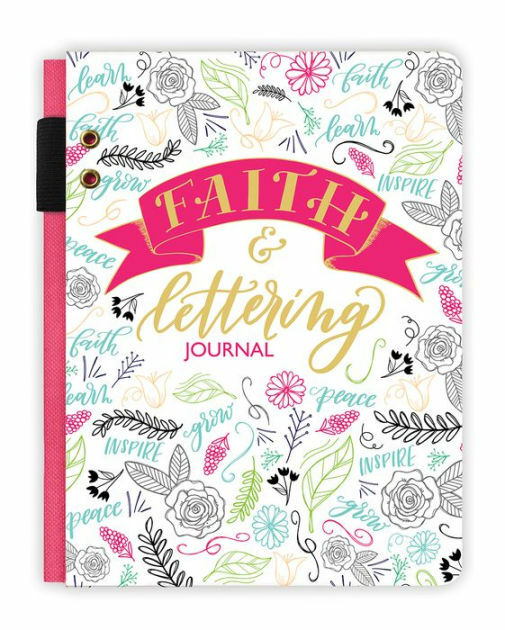 The next journal is the Faith and Lettering Journal. This journal teaches you how to do lettering as well as banners, and flourishes. There are many color pictures to give you an idea of how to put different elements together and I loved having these ideas. There are several fonts to learn as well as some practice pages that you can trace and learn to do the lettering and flourishes that way. I love all blank pages that are lined or dot printed for practicing my lettering or writing out Scriptures or anything that is on my heart. The paper is very high quality and I was able to use my watercolor pens as well as my makers and fine liner black felt tipped maker without ruining the paper or having bleed through. I liked that I could use my art supplies and actually have the journal withstand all my work inside. I have really wanted to learn to do lettering for my Bible journaling and artwork and this book taught me exactly what I needed to know to do beautiful lettering and other flourishes. 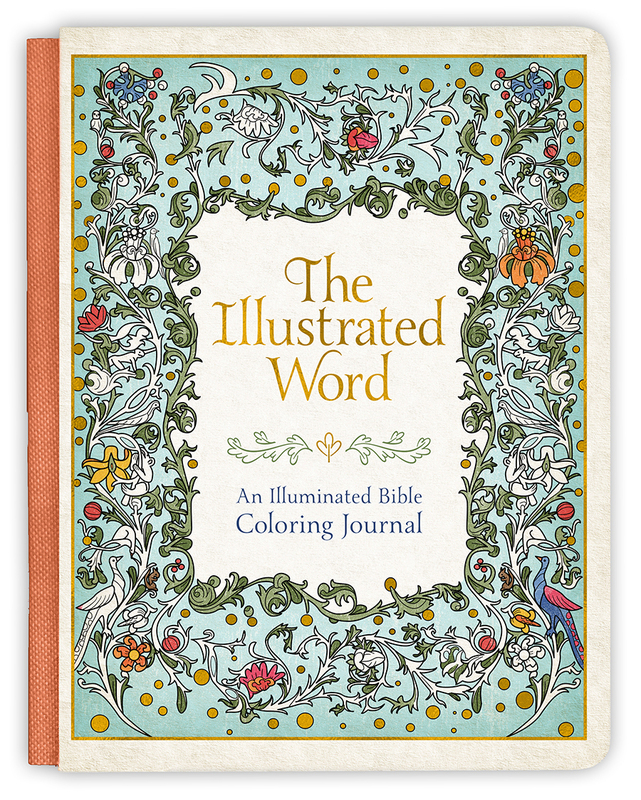 I had so much fun playing with this book, coloring in the different pictures and creating my own lettering. I LOVED this book and would definitely recommend it if you're wanting to learn lettering and have a journal to practice in that will be a keepsake! I give this journal 5 out of 5 stars. This final journal is like a gorgeous piece of artwork! Inside you'll find beautiful pages that you can color. These pieces are so intricate and amazing that you will feel like you've created a piece of artwork from long ago that belong in a museum. Each and every one of these pictures are just amazing! In fact, each drawing is based on a work of art that they show in a smaller square so you can have an idea of how it looks when it's done. Of course, you don't have to adhere to the colors they used in the original artwork but can make them your very own! It's your choice of how you want to color in your pictures.Some have Scripture as a part of the picture and some are just amazing pictures that will stir your heart and inspire you. I really love all the blank pages inside this book for either writing in or creating my own artwork on. The paper is high quality and I was able to use not just regular pens inside but makers as well as my watercolor pens. I had no bleed through and the paper handled the watercolor pens very well without a lot of wrinkling or pulping of the paper. I could definitely see using this journal as a place to write my Scriptures or make notes regarding my Bible reading. I think what I will mostly use it for, though, is my artwork inspired by my Bible reading. The journal is really perfectly made for doing artwork in! I love this journal and it's something I will always treasure. 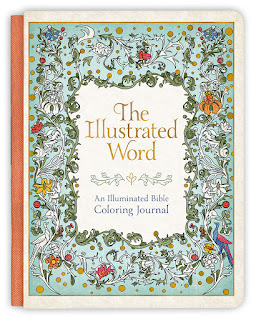 I can highly recommend it for it's high quality papers, drawings to color in, and for inspiration. I give it 5 out of 5 stars. *All of these journal were provided to me by Worthy Publishing. I received a copy of these books to review but I was not financially compensated in any way. The opinions expressed are my own and are based on my observations while reading, drawing and writing in these journals.